In unpredictable times, protecting your family and your home becomes even more important than ever. 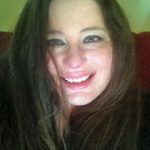 None of us want to think that we will be the victim of a break-in, but with home invasions and robberies happening almost every twenty minutes, it’s something we all need to consider. While finding a home alarm system is easy, finding the one that meets your budget and provides you with the level of safety you desire can be challenging. With so many options, it is important to know what each company provides, and how much you will pay for their services. Before you choose a home alarm provider, let’s go over the basics. By learning as much as you can about how home alarm companies work, you can avoid the providers who don’t offer the best bang for the buck. This industry didn’t change much for decades, until around 10 years ago when smart home technology really began to take off. The “old” companies have been slow to improve their offerings and service; stuck in old ways, providing a poor customer experience while newer companies are leading in customer service and have the latest, most secure tech. A lot of home alarm providers who sell traditional wired systems use subcontractors to install their systems. It is important that you ask the provider if they use subcontractors and how their subcontractors are screened during the hiring process and what background and drug test they are subject to. You should know if the equipment being installed is new or refurbished (I’m looking at you, Comcast!) If you don’t want to receive refurbished or used equipment, you need to address that during the appointment setting process. It also good to know that the technician that installs your equipment is knowledgeable about the devices and is able to show you how they work, and what the process is should a device stop working. You need to state what you want upfront – if you only want new devices, you need to make that clear. For companies that use subcontractors, it becomes even more important to make sure that you tell them everything you want and don’t want, as subcontractors may know little to nothing about what they are installing. How much space will a home alarm system take up in my house? You want a home alarm system that works in the space you have available. If you have a really small house, or apartment you may only need a few sensors and an alarm. If you live in a more spacious home or apartment, you may end up needing more sensors, and added devices to keep each room, door, and window protected. What equipment will I get? Each company will provide, or sell, a variety of equipment to help you set up your home alarm. If you are just interested in a burglar alarm, you would just need sensors and an alarm. If you want to add more features like smoke and CO detectors, or even home security cameras, most of the companies we reviewed can provide that for you. How much you will pay for your home alarm depends on a few factors, first what equipment you choose and second what the monitoring option, if you choose a monitoring option, will cost. On average for providers that make you buy the equipment you could be looking at a $99-$700 price tag depending on what you get. On top of that if you choose a monitoring service you will pay between $14.99-$40.00 on average. If you choose a company that provides the equipment you will most likely have an installation fee somewhere between $100 and $250. You will also have the monitoring cost which in the same $14.99-$40.00 range. Depending on the provider you may be required to sign a contract. Contracts can run between 12-36 months. Longer contracts can sometimes have a cancellation fee should you end your contract early. These fees can be a one-time set fee, or they may require you to pay out the remainder of your contract term. That is why asking about contracts and cancellation fees is important before you choose a provider. If you choose to have a self-monitored alarm system, you will buy all of the equipment you need, and you will monitor your home alarm system yourself. This is usually done by using a smartphone app that alerts you when something unusual has happened at your home. Once you are alerted by the app, you will have to contact the authorities to advise them of the alert. This option can become complicated if you are unable to access your smartphone or you are in an area that doesn’t have coverage. Monitored solutions do just that; they monitor what is happening in your home. If someone opens a window, or door, or a smoke detector alarm goes off, the monitoring station will try to contact you. If you don’t respond, they will call the authorities. Which means that your home is protected 24/7. 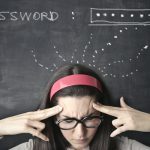 You may be thinking, what is the difference between an alarm system and a security system and the answer is, not much. Home security systems are designed to set off an alarm when a sensor or detector indicates there is a breach. So in this regard, they are largely the same. While you could just have an alarm system that would connect window and door sensors to a central alarm, its much more cost effective to add a more robust home alarm security system. So are they different? Not really. These are our reviews of our favorite home alarm/home security systems. We review lots of home security systems, we test them, get to know them, and some of us even buy them. And one that I would buy, if I wasn’t already stuck in a contract with another one since years ago, is Frontpoint. That is one of many reasons (as per our review process) we again picked Frontpoint as the best home alarm provider in 2017. There are a lot of good things to love about Frontpoint; their customers are proof of that. In addition to providing equipment, and monitoring service, they also give you a 30-day money back guarantee. Frontpoint is pretty confident that you will want to stay, but if you choose not to, as long as you decide to leave within the 30-day period you won’t have to spend a dime. While most of us dread calling customer service for any reason, calling customer service at Frontpoint is actually very pleasant. During my 30-day trial period I had to call them twice, once about a sensor not sticking, and another time because a button on my panel was sticking. Each time the person I spoke with was knowledgeable and very friendly. They didn’t hassle me or even ask me what happened. They just sent me a replacement. Frontpoint has a customer friendly environment that makes even challenging things seem easy. They also tell you what you are in for from the beginning, that type of honesty is actually quite refreshing. It lets the consumer know everything up front before ending up in a contract that they cannot get out of. What Do You Get With Frontpoint? While Frontpoint is our favorite monitored home alarm/security system this year, it doesn’t mean that everything is perfect. A three-year contract is one of the things that concerns us. Especially since you have to pay off 80% of remaining months should you choose to end your contract with Frontpoint. One of the other customer concerns is regarding equipment, while they are awesome when it comes to replacing equipment, it can be frustrating to have a part of your system down because you are waiting for the replacement. Link Interactive is considered a young company with an old soul. While it is new to the DIY home alarm scene, it has some significant history and muscle behind it. Link is owned by Mountain Alarm, a Utah-based company that has been providing home security services for over 60 years, and is a market leader in terms of the number of customers they service. Putting Link Interactive in the number two spot was a no-brainer. While they are an alarm company, it is their commitment to home automation that caught our eye. The marriage of smart home automation and smart home security is one that is guaranteed to last. And while some home alarm providers are just putting their toes in the water of home automation, Link Interactive is diving right in. They offer a wide variety of home automation options on top of their home alarm offerings. Most of this is due to connections they have with 2GIG and Alarm.com. 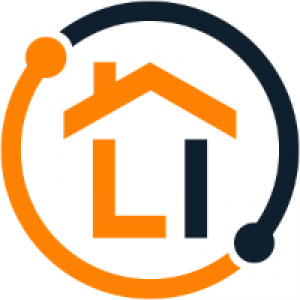 Link Interactive’s automation offerings include lock automation, lighting automation, temperature controls, small appliance automation, and garage door automation. There is more you can do with Link but those are the basics. Link also offers three different packages that provide different levels of service. All packages include 24/7 central station monitoring, which allows them to respond to incidents around the clock. So why do their customers love them? Link Interactive handles their business, which makes customers happy. While many of their customers started with Link through a relationship they had with Costco, the majority of them have remained loyal to the company. Customers love how easy it is to create your own equipment package, and how simple the DIY process was. With quick response times friendly customer service, Link Interactive has been able to build a solid base of happy customers. Their use of social media also allows their customers to connect with them in a variety of ways. While they have a 30-day trial period after that depending on which contract term you selected 12, 24 or 36 months you are locked in for your selected period. Link Interactive can also be cost prohibitive for new customers that are just getting started. Prices can be up to $598 for all of the equipment you will need to get started. You will also have to pay the remainder of your contract if you leave before the term ends. Protect America comes in third, but not by much. For people new to home alarm systems, Protect America makes it easy. It doesn’t require you to pay for the equipment, which for people who can’t invest the $600 for equipment charges, is a pretty great deal. And if you want to add a few devices here and there they are happy to let you pay for them. Getting the basics for free makes it easier to grow into the Protect American home alarm system. If you just choose the basic package, the only thing you will need to pay for is the monitoring service. Protect America does something that many DIY home alarm companies don’t do: They give you up to $1400 in equipment for free. They know equipment cost is one of the biggest hurdles for most of us who want a professionally-monitored home security system. Protect America wants to make it easy and affordable for their customers to get started. They also provide several options when it comes to monitoring; you can use a landline, broadband internet or cellular. While each has its benefits, the cellular option is the most secure and modern. You also get a two-way voice system with Protect America. When your alarm goesm off the monitoring station will try to contact you using the two-way system, giving you an extra chance to ask for help if you need it. Why do their customers love them? The main reason customers love Protect America is because they provide a full system for free. While you do need to install the devices yourself, it’s easy with no drilling, and they have some pretty great tutorials to get you started. You can also get support by email, phone or chat. Their technical agents are more than happy to help you get set up. They are also great when it comes to replacing equipment, as soon as you inform them that there is an issue with a device they will ship it immediately, which reduces downtime. The cancellation penalty is serious. If you choose to cancel your contract, you will have to pay 100% of the remaining contract. This is one of the most severe cancellation fees in the industry. Contact terms are 36 months, so if you choose this option, you need to be committed to them for the next three years. You also have to buy additional equipment, so if you want to add something new to the system you will need to pay for it. Scout is a pure DIY home alarm system. After you purchase the ZigBee Wi-Fi hub for $129, you are a fee to select the devices you want. 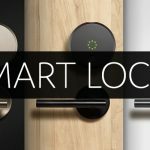 You can choose how to scale your home security with devices that fit into your budget, or you can go all in and spend the $445 that gets you everything you need upfront. If you are dreaming of a room full of alarms, sensors, and cameras, Scout may disappoint you; it has a pretty limited menu. Like a menu of four things, really. So if you want a robust home alarm system, Scout may not be the best choice for you. 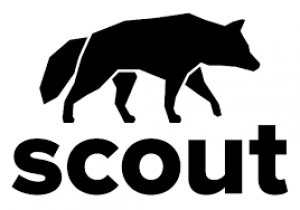 Unlike some of its DIY counterparts, Scout has two monitoring plans that are affordable. You can choose an always on options for $9.99 a month or a monitoring plus option that comes in at $19.99 per month. People like DIY. It gives consumers a way to both save money and feel like they have accomplished something. That is why Scout is our fourth favorite home alarm system. If you are new to DIY, or like me end up with a concussion while putting a shelf from Ikea together, Scout is a good place to start. They offer hardware that is straightforward and easy to assemble. Once you have everything installed, they keep things simple by allowing you to monitor your system on the web or by using their iPhone or Android apps. Scout is also compatible with several home automation providers, Scout integrates with ZigBee and has its own IFTTT (If That Then This) channel. You can also manage your Scout home alarm system using Amazon Echo, and your system also works with Nest, to help you manage your thermostat. While Scout doesn’t have their own security camera, they do integrate with the Nest Cam. So while the initial package may seem small, their ability to work with multiple home automation providers, you have more options than you think. While Scout is new to the market, their customers seem to like the easy setup and the way you can add new devices to create a more robust home alarm system. They also like that you don’t have to drill holes into your walls. You don’t even need a screwdriver to install sensors; you can have your security system up and running in a matter of minutes. You can also choose the components you want, and the color and finish. Scout lets you choose between white, black and wood grain finishes. Which allows you to find an option that works with your existing décor. They also allow you to add professional monitoring without the stress of a long-term commitment. In fact there is no contract at all. You can get an “Always On” service that keeps your system running even if you lose power. You will also get alerts on your smartphone or in your email when the system detects something. If you want to add professional monitoring it will only cost $10 more. For $19.99 you can get all of the features in the Always On option and add 24/7 professional monitoring with no long term commitment. If you want to save 10% on monitoring you can sign up for an annual commitment. While there is no doubt that Scout is one of the easiest home alarm systems to install, you don’t even need a screwdriver to get it up and running, which makes it a great option for the DIY challenged. But after the easy installation, there are few things you should look for, one is battery life. The batteries that operate the sensors don’t alert you when the battery is low, so having batteries on hand is a good idea. Sometimes the sticky adhesive on the sensors loses its adhesive power, which results in sensor falling off of the wall, door or window. When it comes to DIY home alarm systems, SimpliSafe lives up to its name. It’s pretty simple, and it keeps things safe. Everything you order comes pre-programmed, so putting your DIY system together is easy. Like a lot of the DIY providers, SimpliSafe can be self-monitored, or you can add a professional monitoring plan to manage your home security. Without professional monitoring, SimpliSafe is more dumb than simple. If someone compromises a sensor, it will sound an alarm, but that’s about it. So while it can be used as a local home alarm system, it can’t do much for you if you aren’t home. The good news is their monthly monitored packages comes in lower than most of their competitors, which makes it easier to add, there is also no contract. One thing you should prepare, or save for, is the equipment. Depending on which equipment package you choose you could end up spending a lot on the front end. SimpliSafe is upfront about everything, no surprises. They offer a variety of equipment packages that can allow you to start small and then grow into a larger home alarm system. One of the complaints that people had about SimpliSafe has they lacked a security camera, but they have resolved that concern by adding one. At $99 you can now get a camera with motion detection and night vision capabilities that record in 720p. If you start with the smaller packages, SimpliSafe allows you to buy additional devices like smoke and CO detectors or sensors. So if you start with the lowest price package, but you have a lot of windows, you can add additional window sensors, which makes it easier to build a solid home alarm system. You do need to be content with some devices that may look they are in the back part of Back to the Future. They seem to enjoy white plastic that that may seem retro, but not the kind of retro that is cool. One thing that people love about SimpliSafe is how easy it is to setup. They also make it easy to be a customer, if something is working as it should they will replace it without a hassle. They offer a generous 60-day money back policy, and they don’t make you enter into a contract. No contract makes it easy for people who are new to DIY home security to get started on adding a new system, you don’t need to worry about being tied to a long-term commitment. The addition of a new security camera has also made customers more inclined to stay with SImpliSafe, where it used to be one of the reasons people shied away from the brand, they now can add additional security at a reasonable price. To get a complete home alarm system, you will spend some money. There is no way around it, and if you want to add features like accessing your system on your smartphone, you pay a monthly rate and a setup fee. If you want to add it to a home automation system, you can’t. No Z-Wave, no ZigBee, no wireless connections. Simplisafe as of today has yet to add integration to other smart home hubs. SimpliSafe offers two monitoring options, the first is $14.99 a month and provides 24/7 monitoring services, which is a good price. But if you want to have wireless access on your mobile device you will pay $10 a month for a service that most providers don’t charge for. So to get professional monitoring and access your system on your smartphone you will pay $24.99 per month. There isn’t much daylight between home alarm and home security systems, they offer many of the same services. And as more and more providers, from crowdfunded systems like Scout to more established companies like FrontPoint, offer a variety of smart home alarm options it can start to feel overwhelming. That is why we try and show you want you can expect when it comes to service and costs. Adding smart home security systems to your home has become more of a necessity than a luxury. 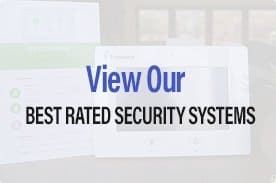 So hopefully we can help you find the best system for your home security needs, and if you are reading this, we hope it helps you find the best home alarm system.